The Coeur d'Alene Parkway State Park is a linear park that follows the north shore of Lake Coeur d'Alene from the city of Coeur d'Alene to a boat-launch facility and picnic area at Higgens Point. Parallel to the pathway is more than 1/2 mile of public shoreline. Included among the facilities are an exercise court, toilet facilities, benches and picnic tables. The Coeur d'Alene Parkway is also part of the North Idaho Centennial Trail, part of the Millenium Legacy Trail System. 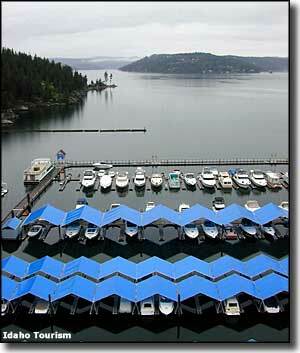 Access to the Coeur d'Alene Parkway is via Coeur d'Alene Lake Drive. 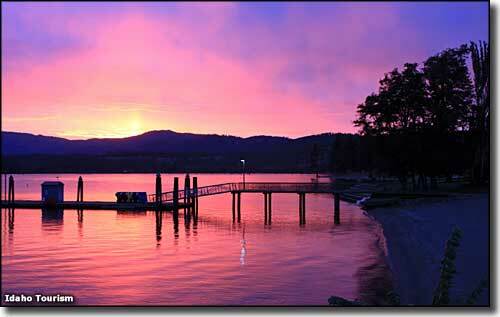 Photos of Coeur d'Alene Parkway State Park are courtesy of the Idaho Department of Tourism.